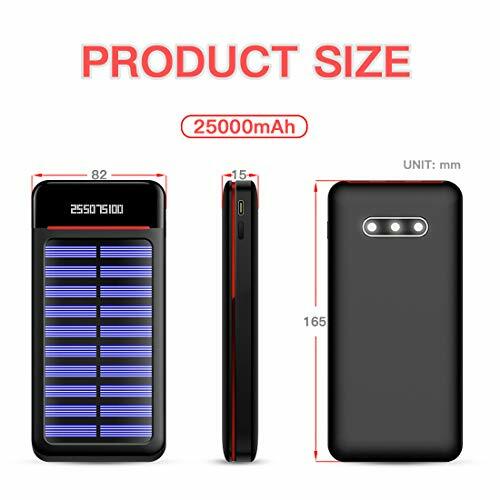 Product prices and availability are accurate as of 2019-04-26 05:44:08 EDT and are subject to change. Any price and availability information displayed on http://www.amazon.com/ at the time of purchase will apply to the purchase of this product. Never regret to take it with you on your trip. 1. Please charge power bank in full for your first using. But it doesn't matter if you don't. 3. Press twice in second or long press,The Led Flash light will turn On or Off. 5. It doesn't support charging device and discharging power bank at the same time. Notice:If there is any problems on power bank,Please contact our after-sales service by email which on the card in the package box or email us directly. 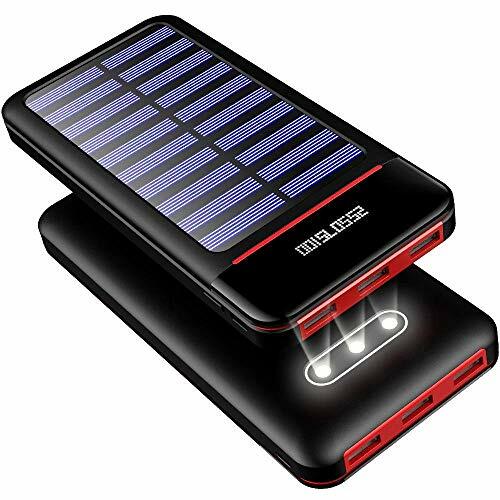 ?Endless Charging Solar Charger? 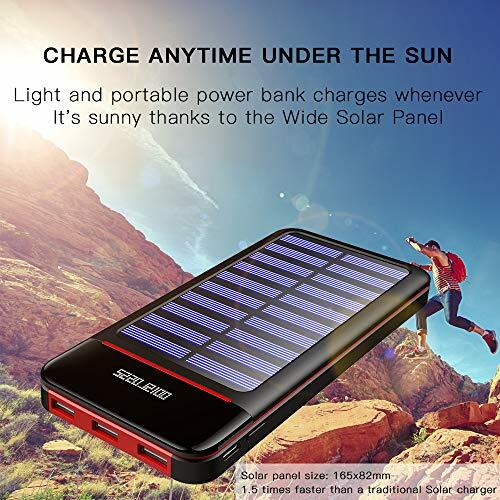 Endless Charging Under the Sun,Portable battery pack charges whenever it's sunny thanks to the wide solar panel, Dual DC 5V/2.4A inputs(Android Port or TypeC Port) Allow you to recharge no matter where you are ?Upgrade 25000mAh Power Bank?Huge Capacity Power Bank With 25000mAh capacity,you don't have to worry about power dies while on-the-go.No worry about power off in Hurricane Days ?Fashionable LCD Of Portable Charger? Smart digital screen shows remaining power in digital format, and it's hidden until activated. 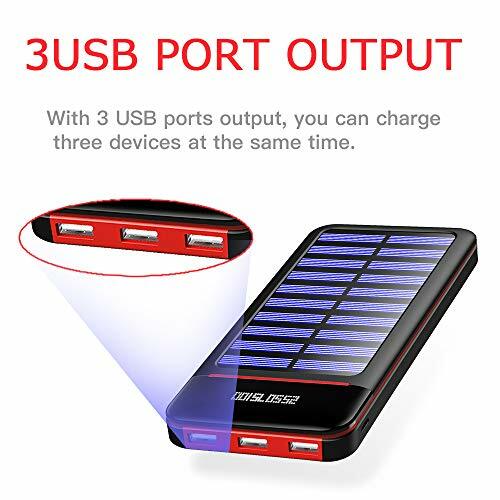 Fits for almost all USB-powered devices. 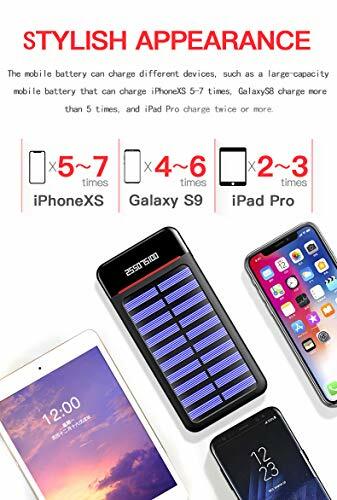 ?Safe and Universal Compatibility Battery Pack?It adopts the Polymer Battery(the safest battery type so far) and Smart technology regardless of devices type. 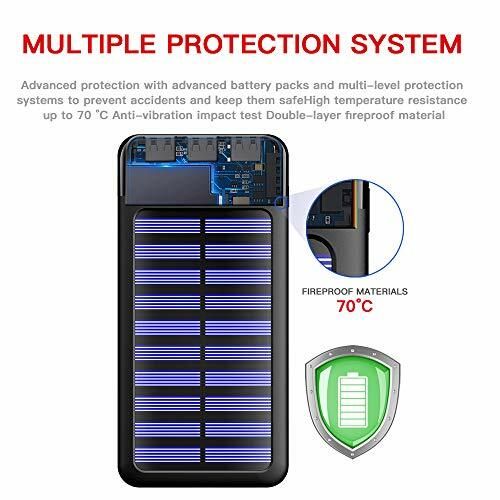 ?Warranty Of Backup Battery?24 months quality assurance. Quick customer service, answer and solve all your concerns about the product within 24 hours. .Package Including: Power Bank,USB Cord,User Manual,After-Sales Card.